As each year marks the opening of new residential, entertainment and business destinations, Mahmoud Al Burai asks what is next for Dubai? 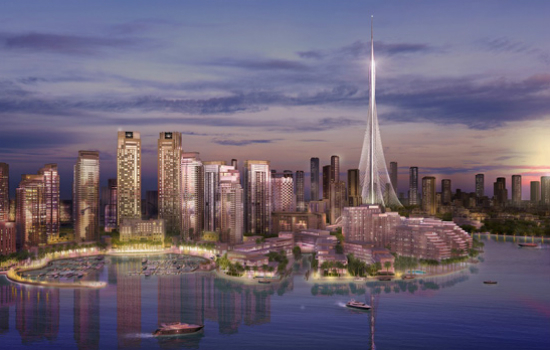 Dubai’s property development activities continue to reach new heights. Each year marks the opening of new residential, entertainment and business destinations. The emirate has transformed itself from a sleepy port city to a regional hub for international networks, commerce and an ever-growing real estate market. As one of the most profitable real estate markets in the world, the question must be asked, What is next for Dubai? In 2002, when foreigners were allowed to own freehold property, a stream of foreign investors lined up to buy property. And while international prospects are still lining up, it’s important that Dubai continues to reimagine the way it builds. Below is a list of growth engines, which will expediently help Dubai grow its real estate market. These engines are linked to the long-term socioeconomic role of the industry, which Dubai should strive to make more sustainable, resilient, affordable and equitable. The market needs end users and long-term investors, not speculators or short-term driven stakeholders. By providing long-term incentives with more security for buyers, including options for long-term residency visas, better construction quality and affordable financing, interest will continue to increase. The city needs a dedicated team working to attract talents and young entrepreneurs to grow the creative class of the city. This requires cutting unnecessary costs to run a small business and providing more affordable living options. Cities are complex and a multidisciplinary approach is critical to enrich and improve urban life. While Dubai has many integrated communities, more should be done to provide walkable and bicycle-friendly communities with integrated public transport. New economic investments should be considered, such as pension options for expats. Implement a centralised urban planning authority, which coordinates planning of different communities and embraces economic, social and environmental objectives. By having a comprehensive long-term master plan, more certainty will be provided to investors. Developers have an ethical responsibility to integrate a life cycle engineering approach, which obliges a sustainable approach to all resources and elements, including employee safety, transportation, neighbourhood restoration, transparency, etc. However, for this practice to come to fruition, affordable resources and solutions must be provided to local developers, such as financial incentives for integrating such practices. Strengthen transparency of data. For example, data on market performance, future supply, rentals and vacancy rates should be shared. Transparency by developers, brokers, owner associations and the government should be compulsory and strict compliance, risk management and anti-corruption policies should be mandatory. Dubai should consider providing more investor protection through stronger laws and regulations. Sales and purchase agreements should be drafted to reflect the interests of both investors and developers. Creating a government-backed yearly evaluation and public ranking of developers and other service providers based on their financial strength, compliance policies, sustainability practices and customer happiness would also ensure investors are making fully informed decisions. Dubai should continue to prioritise new, innovative real estate products and tools. In addition, real estate investment trusts and rent-to-own schemes are needed to continue to enable small investors and end users to have exposure to real estate. Dubai has become a leader in simplifying and digitalising government registration processes, but more can be done to provide one gate for investors, residents and visitors. Building on the Smart Dubai strategy, there should be better utilisation of technology, while opening up data for the private sector to innovate. Economic consideration is critical for the sustainability of Dubai’s growth. The city needs to continually consider costs, making business and the cost of living affordable. Creating affordable housing, education, health care, shopping and business climate will continue to ensure that Dubai stays cost competitive. The UAE is in the top 30 of the most recent World Happiness Report, and improving happiness as a key target over the next five years in the national agenda. In many urban developments in Dubai, new real estate and infrastructure are already beginning to reflect these objectives by helping people pursue livelihoods, increase income and care for their families. However, more should be done to integrate all residents, both expatriates and nationals, into socially sustainable communities.